An interesting twist has occurred in the National Lottery debate in the UK. The government has banned the sale of Euro million lottery tickets last year, saying purchases of these international lottery tickets hurt the UK lottery. It was suggested that purchasing Euromillions tickets means that charities lose out on much needed funds. Currently around a third of the value of a lottery ticket is donated to various charitable causes around the UK. It is estimated that since 1994 the UK lottery has donated around £37bn to more than 500 000 charities. Quite rightly the government was quite concerned with losing this incredible financial resource for charities. However a report from the National Audit Office has revealed that the noted fall in National Lottery income is due to people switching from buying lotto tickets to purchasing instant win game tickets. These tickets still send a percentage of their value for charitable causes but not nearly at the same level as the UK Lottery. 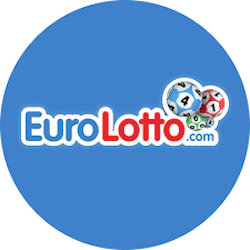 The Lotto Betting Group, a conglomeration of lotto companies including Lottoland, Multilotto and World Lottery Club , have written a letter to the Secretary of Digital, Culture and Media requesting a suspension of the law banning Euromillion lottery sales. The battle has been going on since last year when the move was announced prompting an outcry from international lotto touts. 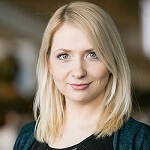 A representative from Camelot UK, the company responsible for running and administrating the lotto , stated that International lottery companies get around existing laws by claiming they are simply a lottery reseller, when in fact it is betting on the potential outcome of the lottery. He also emphasised that these lotto sellers provide no charitable donations as compared to the UK lottery. The DCMA is yet to respond to the letter from the Lotto Betting Group. In an announcement this week the Gaelic Athletics Associations has made a blanket ban on betting sponsorship agreements between any GAA members and gambling companies. The congress met and voted on the ban, with an overwhelming majority of the association’s members voting in favour of a ban. While the ban has been seen as overwhelmingly positive, Alan Kerins from the Gaelic Players Association noted that gambling is a problem for Ireland and this move does help to dress the issue, but that more can always be done. The move definitely hurts Armagh and Crossmaglen Rangers who are sponsored by Bar One Racing bookmakers and Boyle Sport respectively.